The two hotels are 35 meters apart. 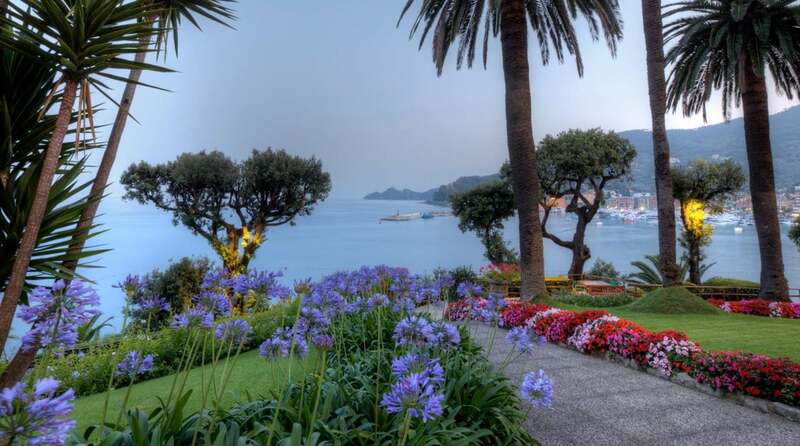 They both have wide parks that descend into the sea. They offer the possibility to organize conventions, meetings as well as other events such as ceremonies and demonstrations. 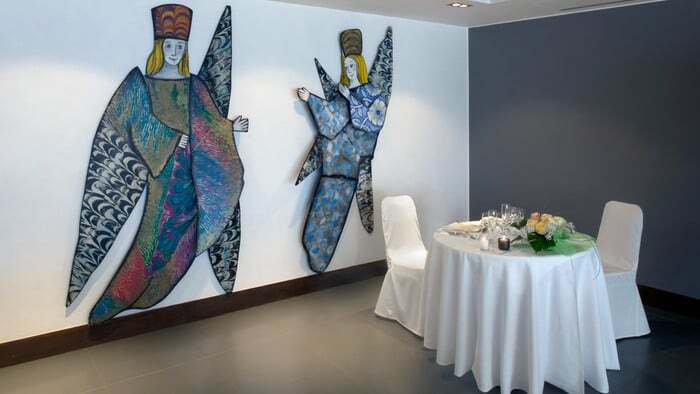 Accompanying each other the hotels offer the possibilty to relax and enjoy the splendid and calm surroundings. 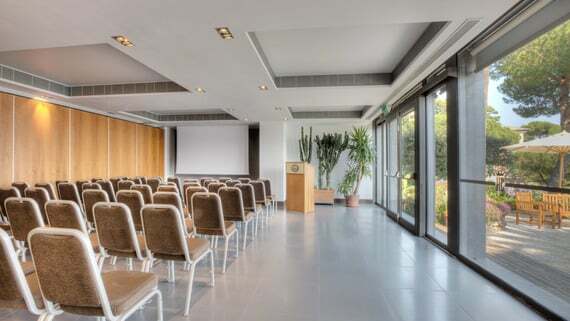 Hotel Metropole’s meeting services include a congress room that seats up to 90 people, (divisible into two rooms-seating 20 and 60 persons) a dining room as well as a balcony for breaks. The hotel also provides garage and paking facilities. 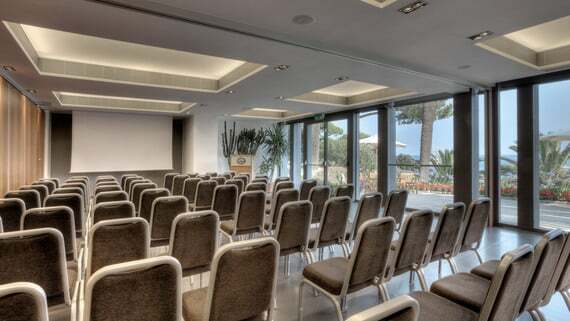 The Hotel Continental has a new Meeting Room for events up to 130 people. Luminous, has got big windows with a beautiful view of the Sea and of the private Garden, with the possibilty of sub commitee and a panoramic restaurant with a wide balcony. The hotel also provides parking and use of garage. Both hotels, excluding the winter season, have small restaurants at the beach area, which are also available for work luncheons. Conjointly, the two hotels offer 133 rooms, providing all modern comforts. Please consult specific page of each hotel.